In the past year, Mesquite has burnished its brand as a sports mecca with the re-opening of its pistol and trap shooting range, addition of a top ATV sales and rental outlet, expansion of its annual senior games event, and official designation as a bicycle-friendly community. Long known for premier golfing, spectacular public soccer and ballfields and the expansive beauty of Gold Butte, Mesquite has suffered a pinch of room shortages when hosting sports events and tournaments in the past several years. Recognizing this need, the Lee Family, champions in the Southern Nevada hospitality business, have turned a long-shuttered property in downtown Mesquite into a down-home dazzler, The Rising Star Sports Ranch. Offering the best team and sports accommodations in the West, the Rising Star will score with golfers, teams and casual travelers. The Rising Star Sports Ranch opens October 1 with 210 guestrooms and a corral-full of fun for everyone who turns in for the night. 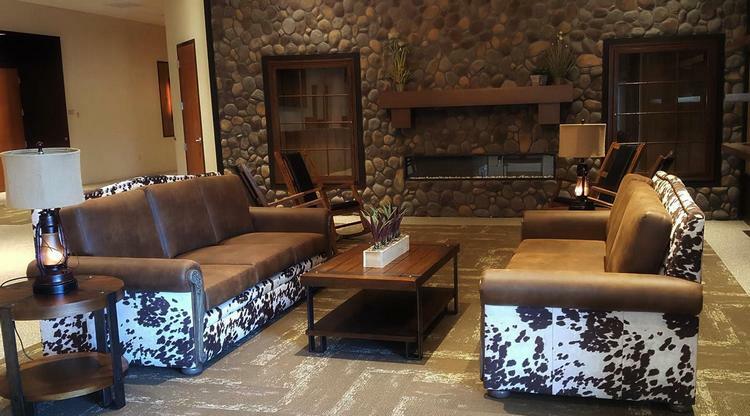 This hotel resort sharpens visitor focus on Mesquite’s outdoor fun and outstanding facilities. City ballfields and recreation center are walking distance from Rising Star’s front door, and Mesquite’s world-class golf courses are just minutes drive away. Hoteliers Greg Lee and Andre Carrier have gleaned keen insights in team housing needs from taking their own children to games and tournaments in several states. Sensitive to the needs of young athletes, parents and coaches, they have incorporated many innovations at the Rising Star, such as bunk-bedded rooms for kids, with adjoining team rooms where coaches and teams can strategize or relax. 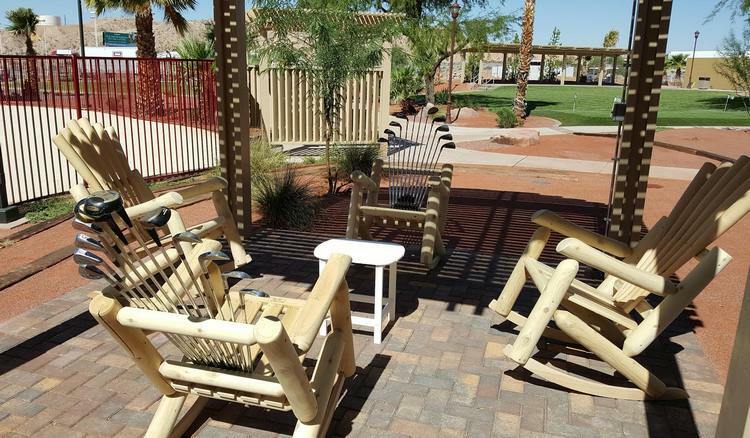 Their Rising Star Sports Ranch is complete with “The Backyard” where families, sports teams and golf buddies can enjoy a BBQ, play tennis and paddleball, hang out around the pool, visit the in-house arcade or just kick back in the grassy shade under a mesquite tree. Not only will kids be impressed with the range of activities available just outside their “bunkhouse” door, their parents, coaches and adult sports enthusiasts will settle back in casual luxury in their own perfectly appointed king- and queen-bedded rooms. Every detail of Rising Star Sports Ranch carries out a modern Western theme that is a new gold standard of sports hospitality. A new sports fieldhouse is being added in the Backyard, offering a spacious indoor athletic training area and endless event opportunities. With an onsite restaurant and 10 eateries within walking distance of the property, and with the I-15 freeway just a stoplight away, Rising Star Sports Ranch is in a league of its own for convenience, ambiance, and fun. Information and reservations at phone 702-345-4733 or www.risingstarsportsranch.com. To learn more about Mesquite’s diverse outdoor activities, see Facebook or visit www.mesquite-chamber.com and www.mesquitenv.gov.